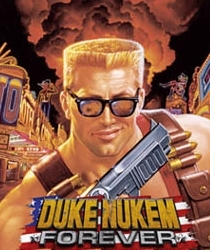 When the Duke Nukem series came out in the late 90s, I was a huge fan. There was a time when I played it every day, and I knew almost every trick on each level. I even bleached my hair once to get the Duke Nukem look. Given that I was also working out regularly back then and had some fairly serious muscle on me, it was a pretty good approximation. As with all such phases, my obsession with the video game passed on, but I still looked forward to the sequel, called Duke Nukem Forever. I waited, along with countless others, since 1997, only to find out last month that 12 years later, in 2009, work on the game stopped altogether. It was, by all means, an expected conclusion to what had become a game industry joke and cliché. Still, when I see the trailer for Duke Nukem Forever, released in 2007, I still feel regret for the promises made so many times that never came true. I’d have loved to play the sequel, if only for nostalgic reasons. This should have been awesome. Instead, it ended up in the crapper. What a shame.